8th June: Open Garden Day on Brockley View - not to be missed! My colleague Jon Lissimore is holding his annual garden open day on 8th June. It's a lovely garden, well worth visiting, with sculptures Jon makes himself. There are also always lots of lovely cakes! Coffee,tea, cakes, plants and more! You can find out more about the garden on Jon's website. 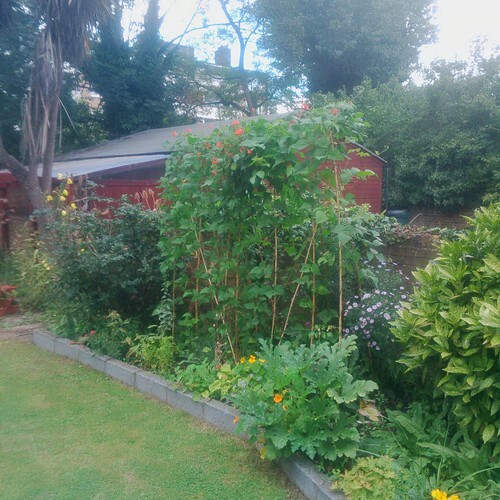 Looking for a garden project in Brockley to get involved with? Marsha Phoenix Hostel is a hostel in Brockley for young women. Housed in two large Victorian houses knocked together, it is blessed with a substantial back garden. Previously well-tended, it had become rather neglected. For the past two years, a small group of local volunteers have been working to improve the garden and to grow fresh fruit and vegetables as well as plants to attract wildlife. 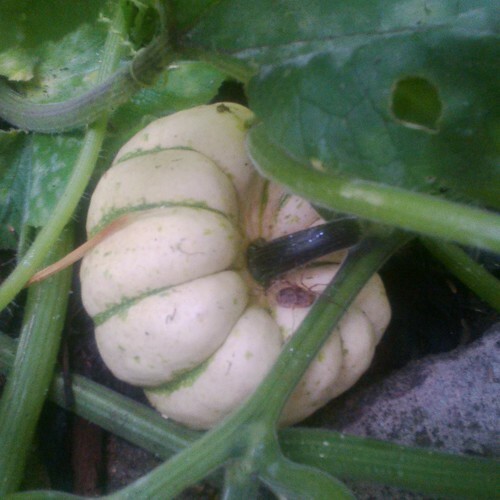 We are gradually getting on top of the weeds and have had great crops of courgettes, squashes, runner beans and tomatoes, amongst other things. Last Autumn we were able to repair the long derelict greenhouse and plant some fruit bushes in one of our raised beds. We're looking forward to putting the greenhouse to good use this year, and having been inspired by the Great British Garden Revival series on BBC2 recently, are planning a colourful, exotic look to the garden for 2014! We would welcome a few extra people to get involved with the project this year, which would enable us to cultivate more areas of the garden. Our first few work sessions of the year are below. If you would like to come along, please drop me a line beforehand so I know how many people to expect. I'll bring along a big pan of soup to the first session, to warm us up. Hope to see you there, along with suggestions of how to develop the garden this year. If you have any spare plants/cuttings you don't need, please bring them along and we can find them a good home. We're particularly after a few shade-tolerant shrubs for the north-facing border. If you have your own tools, please bring them along; if not, don't worry, we have a few. The hostel is at 90-92 Tressillian Road, SE4, but please let me know in advance if you are planning to attend. You can see a photo diary of our progress in the garden on our blog and flickr. This networking event is open to all community food growers and will include workshops on recruiting and managing volunteers effectively. It will also be an opportunity to meet people running successful food growing projects in London and chat over food and drink. The event will include sessions on how to engage volunteers, understanding community diversity, and managing volunteers effectively. This event will take place on Thursday 28th February from 6.00pm - 8.30pm at London Lighthouse, 111-117 Lancaster Road, W11 1QT.